Join MobileHelp and KORE for a webinar this Thursday, March 28th at 11 am EST. The healthcare IoT market is expected to grow to $158B by 2022, generating a massive opportunity for healthcare organizations to deliver new, patient-centric solutions. However, the increasing number of emerging technologies may prove challenging for healthcare providers to identify the optimal mix of devices, networks, and applications needed to bring their solutions to market and support their long-term IoT goals. This webinar will address ways to ensure success through the selection of optimal technology. Chris Otto is the Senior Vice President of MobileHelp Healthcare (the healthcare division of parent company MobileHelp). Mr. Otto pioneered automatic fall detection and co-founded Halo Monitoring, an aging-in-place technology company, in 2008. MobileHelp acquired Halo Monitoring in 2012. Prior to his work with both MobileHelp and Halo Monitoring, Mr. Otto was the senior design engineer for Lewis Innovative Technologies, Inc. and the President and Principal Engineer for Stack Software, among other engineering positions. Mr. Otto holds nine US patents, with others pending. Mr. Otto earned both his bachelors and masters in computer engineering from the University of Alabama in Huntsville. 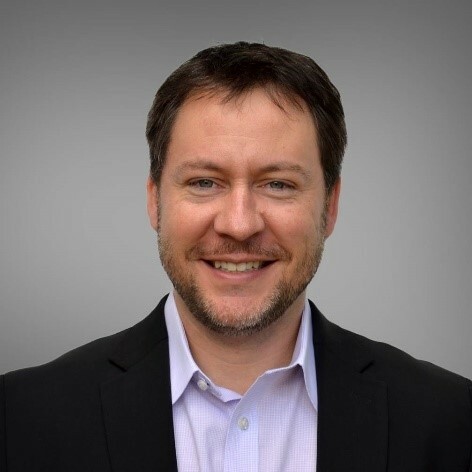 In his role at KORE, Steven leads product management in delivering KORE’s Licensed and Unlicensed IoT Connectivity Service offerings, Platform and Data Services, and Healthcare vertical solution enablement. Over his 30 year telecommunications career, Steven has specialized in wireless and optical network technologies and has filled individual and leadership roles spanning product management and marketing, sales and business development, and software engineering. Steven has authored multiple cellular and optical network patents during his career and holds a BA in Computer Sciences from the University of Texas. KORE Wireless Group (“KORE”) is a pioneer, leader, and trusted advisor delivering transformative business performance. We empower organizations of all sizes to improve operational and business results by simplifying the complexity of IoT. Our deep IoT knowledge and experience, global reach, purpose-built solutions, and deployment agility accelerate and materially impact our customers’ business outcomes. To start a conversation with us about our MobileHelp Healthcare solutions, please fill out our form and we will contact you.